The publication listed under Top-5 most read Articles of Australian Journal of Electrical and Electronics Engineering, Feb 2017. Australia-China Young Scientists Exchange Award, Nov 2016. Premium Award for Best Paper in IET Generation, Transmission & Distribution Journal, July 2015. Curtin Postgraduate Research Supervisor Award in 2014, May 2015. The publication listed under Top-25 most cited Articles of Electric Power System Research Journal, among the papers published since 2010, Jan 2015. First Top First Class Honours Award, Bachelor of Electrical Engineering, University of Tabriz, Iran, July 2004. Finalist in the Murdoch Professional Development Award, June 2017. Nominee for the Woodside Early Career Scientist of the Year of WA Premier’s Science Awards, August 2016. Nominee for the Outstanding Early Career Researcher of Australian Museum Eureka Prizes, August 2016. Finalist in the Curtin Professional Development Award, June 2015. Nominee for the Curtin Teaching Excellence Award under “Citation for outstanding contribution to student learning” for Enhancing the learning experience of the students in Power System Protection unit by developing novel computer-based simulation studies, practical-based laboratory experiments, and industry site visits, Nov. 2014. Nominee for the Curtin Commercial Innovation Awards 2013 for “Multi-functional Educational/Research Modular Power Electronic Converters for Renewable Energy Applications,” May 2013. Nominated for Award for Excellent MPhil Thesis, Iran, 2007. S Rajakaruna, Farhad Shahnia and A Ghosh (Eds. ), Springer: Singapore, 2014. Technical Committee member of the 1st Global Power, Energy and Communication Conference (GPECOM), Cappadocia, Turkey, June 2019. Technical Committee member of the 3rd International Conference on Energy Engineering and Environmental Protection (EEEP), Sanya, China, Nov 2018. Technical Committee member of the 3rd International Conference on Green Energy Technology (ICGET), Amsterdam, Netherlands, July 2018. Technical Committee member of the International Conference on Energy Engineering and Smart Grids (ESG), Cambridge, United Kingdom, June 2018. Technical Committee member of the 2nd International Conference on Sustainable Energy Engineering (ICSEE), Sydney, Australia, Jun 2018. Technical Committee member of the 3rd International Conference on Renewable Energy and Conservation (ICREC), Sydney, Australia, Jun 2018. Technical Committee member of the 2018 International Conference on Bioenergy and Clean Energy (ICBCE), Hong Kong, May 2018. Technical Committee member of the International Conference on Power Electronics and Drives (PED), Hyderabad, India, May 2018. Technical Committee member of the 8th International Conference on Smart Grids, Green Communications and IT Energy-aware Technologies, Nice, France, May 2018. Publication co-Chair and Technical Committee member of the 2nd International Conference on Electrical Engineering and Automation Control (ICEEAC), Wuhan, China, Apr 2018. Technical Committee member of the 2nd International Conference on Electrical Engineering (ELEE), Dubai, UAE, Mar 2018. Technical Committee member of the 2018 Asia Conference on Energy and Environment Engineering (ACEEE), Shanghai, China, Jan 2018. Technical Committee member of the 2nd International Conference on Economic Development & Management Engineering (EDME), Wuhan, China, Dec 2017. Technical Committee member of the 3rd International Conference on Advances in Energy Resources and Environment Engineering (ICAESEE), Harbin, China, Dec 2017. Technical Committee member of the 2nd International Conference on Energy Engineering and Environmental Protection (EEEP), Sanya, China, Nov 2017. Technical Committee member of the 2nd International Conference on Electrical Engineering (ELEN), Vienna, Austria, Nov 2017. Technical Committee member of the 4th International Conference on Electrical and Electronics Engineering (ELEL), Dubai, UAE, Oct 2017. Technical Committee member of the 5th World Conference on Applied Science, Engineering and Technology (WCAEST), Bangkok, Thailand, Oct 2017. Technical Committee member of the 2nd International Conference on Recent Developments in Control, Automation & Power Engineering (RDCAP), Noida, India, Oct 2017. Technical Committee member of the 2nd International Conference on Chemical Engineering (CHEME), Dubai, UAE, Sept/Oct 2017. Technical Committee member of the 4th International Conference on Circuits and Systems (CIRSY), Copenhagen, Denmark, Sept 2017. Technical Committee member of the 4th World Conference on Applied Science, Engineering and Technology (WCAEST), Dubai, UAE, Sept 2017. Technical Committee member of the 2nd International Conference on Green Energy Technology (ICGET), Rome, Italy, July 2017. Technical Committee member of the 3rd World Conference on Applied Science, Engineering and Technology (WCASET), Singapore, June 2017. Technical Committee member of the 2nd International Conference on Electrical Engineering (ELEC), Zurich, Switzerland, June 2017. Technical Committee member of the International Conference on Sustainable Electrical Engineering (ICSEE), Perth, Australia, June 2017. Publication co-Chair and Technical Committee member of the 1st International Conference on Electrical Engineering and Automation Control (ICEEAC), Nanjing, China, Apr 2017. Technical Committee member of the 1st International Conference on Economic Development & Management Engineering (EDME), Wuhan, China, Dec 2016. Technical Committee member of the 7th International Conference on VLSI (VLSI), Chennai, India, July 2016. Technical Committee member of the 3rd International Conference on Emerging Trends in Electrical, Electronics and Instrumentation Engineering (EEI), Dubai, UAE, Apr 2015. Technical Committee member of the International Conference on Electrical Engineering (ELE), Bangalore, India, Oct 2014. Publication/Publicity Chair of the 24th Australasian Universities Power Engineering Conference (AUPEC), Perth, Australia, Sept-Oct 2014. Technical Committee member of the 22nd Australasian Universities Power Engineering Conference (AUPEC), Bali, Indonesia, Sept 2012. Technical Committee member of the 4th International Conference on Technical and Physical Problems of Power Engineering (ICTPE), Pitesti, Romania, Sept 2008. F Shahnia, S Rajakaruna and A Ghosh (2014) Static Compensators (STATCOMs) in Power Systems, pp.1-735, Springer Press: Singapore. S Rajakaruna, F Shahnia and A Ghosh (2014) Plug-in Electric Vehicles in Smart Grids: Charging Strategies, pp.1-326, Springer Press: Singapore. S Rajakaruna, F Shahnia and A Ghosh (2014) Plug-in Electric Vehicles in Smart Grids: Integration Techniques, pp.1-349, Springer Press: Singapore. S Rajakaruna, F Shahnia and A Ghosh (2014) Plug-in Electric Vehicles in Smart Grids: Energy Management, pp.1-316, Springer Press: Singapore. MA Shoeb, F Shahnia and G Shafiullah, “A multilayer optimization scheme to retain the voltage and frequency in standalone microgrids,” IEEE PES Innovative Smart Grid Technologies Asian Conference (ISGT-Asia), pp.1-6, Auckland, New Zealand, Dec 2017. M Batool, S Islam and F Shahnia, “Power transaction management amongst coupled microgrids in remote areas,” IEEE PES Innovative Smart Grid Technologies Asian Conference (ISGT-Asia), pp.1-6, Auckland, New Zealand, Dec 2017. F Shahnia and HH Yengejeh, “Enhancing the learning experience in the power electronic unit by different tutorial activities,” 27th Australasian Universities Power Engineering Conference (AUPEC), pp.1-6, Melbourne, Australia, Nov 2017. F Shahnia, M Moghbel, A Arefi, G Shafiullah, M Anda and A Vahidnia, “Levelized cost of energy and cash flow for a hybrid solar-wind-diesel microgrid on Rottnest Island,” 27th Australasian Universities Power Engineering Conference (AUPEC), pp.1-6, Melbourne, Australia, Nov 2017. J Susanto, F Shahnia and A Arefi, “Effects of network characteristics and topology on the stability of converter-dominated microgrids,” 27th Australasian Universities Power Engineering Conference (AUPEC), pp.1-6, Melbourne, Australia, Nov 2017. F Shahnia, R Fornarelli, M Anda and PA Bahri, “A renewable energy-driven water treatment system in regional Western Australia,” 27th Australasian Universities Power Engineering Conference (AUPEC), pp.1-6, Melbourne, Australia, Nov 2017. M Usman, F Shahnia, G Shafiullah, A Arefi and D Zhang, “Technical and non-technical juxtaposition of domestic lighting bulbs of the Australian market,” 27th Australasian Universities Power Engineering Conference (AUPEC), pp.1-6, Melbourne, Australia, Nov 2017. M Usman, F Shahnia, GM Shafiullah and A Arefi, “Technical comparison of the domestic LEDs and CFLs available on the Australian market,” 49th IEEE North American Power Symposium (NAPS), pp.1-6, Morgantown, West Virginia, Sept 2017. G Rajapakse, SG Jayasinghe, A Fleming and F Shahnia, “Model predictive control-based power take-off control of an oscillating water column wave energy conversion system,” International Conference on Sustainable Energy Engineering (ICSEE), pp.1-8, Perth, Australia, June 2017. MA Hayat, F Shahnia, A Arefi, HHH Iu, and T Fernando, “Comparison of the economic benefits and the payback periods of rooftop solar panels in Australia,” 3rd IEEE International Conference on Power Generation Systems and Renewable Energy Technologies (PGSRET), pp.1-5, Johor Bahru, Malaysia, Apr 2017. L Ali, F Shahnia, A Arefi, HHH Iu, and T Fernando, “Feasibility analysis of a sustainable system for an Australian remote town,” 3rd IEEE International Conference on Power Generation Systems and Renewable Energy Technologies (PGSRET), pp.1-5, Johor Bahru, Malaysia, Apr 2017. MA Hayat, F Shahnia and A Arefi, “Efficient seasonal time of use feed-in tariff for residential rooftop PVs in Australian electricity market,” World Renewable Energy Congress XVI, pp.1-4, Perth, Australia, Feb 2017. B Behi, A Arefi, H Pezeshki and F Shahnia, “Distribution transformer lifetime analysis in the presence of demand response and rooftop PV integration,” World Renewable Energy Congress XVI (WREC), pp.1-8, Perth, Australia, Feb 2017. F Shahnia, “Semi-decentralized charging and discharging control of floating batteries in microgrids,” 2nd IEEE Annual Southern Power Electronics Conference (SPEC), pp.1-6, Auckland, New Zealand, Dec 2016. F Shahnia, “Eigenvalues and their participation factors for the system of coupled adjacent microgrids,” 2nd IEEE Annual Southern Power Electronics Conference (SPEC), pp.1-6, Auckland, New Zealand, Dec 2016. MA Setiawan, A Abu-Siada and F Shahnia, “Voltage regulation in dc microgrids with various circuit configurations,” 2nd IEEE Annual Southern Power Electronics Conference (SPEC), pp.1-6, Auckland, New Zealand, Dec 2016. MA Setiawan, A Abu-Siada and F Shahnia, “New technique for power sharing in dc microgrids,” 2nd IEEE Annual Southern Power Electronics Conference (SPEC), pp.1-6, Auckland, New Zealand, Dec 2016. S Bourbour and F Shahnia, “A suitable mechanism for the interconnection phase of temporary coupling of adjacent microgrids,” IEEE PES Innovative Smart Grid Technologies Asian Conference (ISGT-Asia), pp.1-6, Melbourne, Australia, Nov/Dec 2016. S Bourbour and F Shahnia, “Impact of the weightings of different criteria in selecting the suitable microgrids when forming a system of coupled microgrids,” IEEE PES Innovative Smart Grid Technologies Asian Conference (ISGT-Asia), pp.1-6, Melbourne, Australia, Nov/Dec 2016. F Shahnia, “Stability of a sustainable remote area microgrid,” IEEE Region 10 Conference (Tencon), pp.1-4, Singapore, Nov 2016. F Shahnia and A Arefi, “Defining the suitable adjacent microgrids to form a temporary system of coupled microgrids,” IEEE Region 10 Conference (Tencon), pp.1-4, Singapore, Nov 2016. J Susanto, F Shahnia and A Arefi, “Small signal model load flow initialisation for converter-dominated microgrids,” IEEE International Conference on Power Systems Technology (Powercon), pp.1-6, Wollongong, Australia, Sept/Oct 2016. L Ali, and F Shahnia, “Impact of annual load growth on selecting the suitable sustainable standalone system for an off grid town in Western Australia,” IEEE International Conference on Power Systems Technology (Powercon), pp.1-6, Wollongong, Australia, Sept/Oct 2016. MA Hayat, F Shahnia and A Arefi, “Comparison of the electricity tariffs and bills across the zones of Australian power distribution companies,” 26th Australasian Universities Power Engineering Conference (AUPEC), pp.1-6, Brisbane, Australia, Sept 2016. M Batool, SM Islam and F Shahnia, “Stochastic modeling of the output power of photovoltaic generators in various weather conditions,” 26th Australasian Universities Power Engineering Conference (AUPEC), pp.1-5, Brisbane, Australia, Sept 2016. H Al-Hilfi, A Abu-Siada and F Shahnia, “Comparison of different correlational techniques in estimating the total generated power of neighboring photovoltaic systems,” 26th Australasian Universities Power Engineering Conference (AUPEC), pp.1-5, Brisbane, Australia, Sept 2016. R Fornarelli, PA Bahri, M Anda, G Ho, F Shahnia, and A Arefi, “The energy-water nexus: renewable energy and water desalination,” 15th World Renewable Energy Congress (WREC), pp.1-10, Jakarta, Indonesia, Sept 2016. L Ali and F Shahnia, “Selection of a suitable standalone power supply system for an off-grid town in Western Australia,” IEEE 16th Int. Conf. on Environment and Electrical Engineering (EEEIC), pp.1-6, Florence, Italy, June 2016. F Shahnia, “Protection considerations of using a DSTATCOM when coupling neighboring low voltage feeders,” IEEE International Conference on Industrial Technology (ICIT), pp.1-6, Taipei, Taiwan, March 2016. F Shahnia, “Application and control of a DSTATCOM to couple neighboring low voltage feeders,” IEEE International Conference on Industrial Technology (ICIT), pp.1-6, Taipei, Taiwan, March 2016. F Shahnia, “Impact of low pass filters of the droop control on converter-interfaced DERs of an islanded microgrid,” IEEE International Conference on Industrial Technology (ICIT), pp.1-6, Taipei, Taiwan, March 2016. HH Yengejeh, F Shahnia and SM Islam, “Disconnection time and sequence of rooftop PVs under short-circuit faults in low voltage networks,” 47th IEEE North American Power Symposium (NAPS), pp.1-6, Charlotte, North Carolina, Oct 2015. S Bourbour, F Shahnia and A Ghosh, “Selection of a Suitable Microgrid to Couple with an Overloaded Neighboring Microgrid Based on Decision Making,” 47th IEEE North American Power Symposium (NAPS), pp.1-6, Charlotte, North Carolina, Oct 2015. TH Mehr, F Shahnia and A Ghosh, “Power sharing control of batteries within autonomous microgrids based on their state of charge,” 25th Australasian Universities Power Engineering Conference (AUPEC), pp.1-6, Wollongong, Australia, Sept 2015. A Ashourpouri, A Ghosh and F Shahnia, “Droop-based demand dispatch schedule in smart grid,” 25th Australasian Universities Power Engineering Conference (AUPEC), pp.1-6, Wollongong, Australia, Sept 2015. E Pashajavid, F Shahnia and A Ghosh, “A decentralized strategy to remedy the power deficiency in remote area microgrids,” 50th International Universities Power Engineering Conference (UPEC), pp.1-6, Stoke-on-Trent, UK, Sept 2015. E Pashajavid, F Shahnia and A Ghosh, “Overloading conditions management in remote networks by coupling neighboring microgrids,” 50th International Universities Power Engineering Conference (UPEC), pp.1-6, Stoke-on-Trent, UK, Sept 2015. TH Mehr, F Shahnia, RPS Chandrasena and A Ghosh, “Dynamic power sharing control among converter-interfaced DERs in an autonomous microgrid,” IEEE PowerTech Conference, pp.1-6, Eindhoven, Netherlands, June 2015. E Pashajavid, F Shahnia and A Ghosh, “Interconnection of two neighboring autonomous microgrids based on small signal analysis,” 9th IEEE International Conference on Power Electronics Asia (ICPE-ECCE Asia), pp.1-6, Seoul, Korea, June 2015. E Pashajavid, F Shahnia and A Ghosh, “Overload management of autonomous microgrids,”11th IEEE International Conference on Power Electronics and Drive Systems (PEDS), pp.1-6, Sydney, Australia, June 2015. RPS Chandrasena, F Shahnia and S Rajakaruna, “Energy storage options for microgrid applications: A review,” IEEE 9th International Conference on Industrial and Information Systems (ICIIS), pp.1-6, Gwalior, India, Dec 2014. MA Setiawan, F Shahnia, RPS Chandrasena and A Ghosh, “Data communication network and its delay effect on the dynamic operation of distributed generation units in a microgrid,” 6th IEEE PES Asia-Pacific Power and Energy Engineering Conference (APPEEC), pp.1-6, Hong Kong, Dec 2014. TH Mehr, F Shahnia, RPS Chandrasena and A Ghosh, “Different power sharing techniques for converter-interfaced DERs in an autonomous microgrid,” 6th IEEE PES Asia-Pacific Power and Energy Engineering Conference (APPEEC), pp.1-6, Hong Kong, Dec 2014. N Safitri, F Shahnia and MAS Masoum, “Different techniques for simultaneously increasing the penetration level of rooftop PVs in residential LV networks and improving voltage profile,” 6th IEEE PES Asia-Pacific Power and Energy Engineering Conference (APPEEC), pp.1-6, Hong Kong, Dec 2014. F Shahnia, M Moghbel and HH Yengejeh, “Improving the learning experience of power system protection students using computer-based simulations and practical experiments,” 24th Australasian Universities Power Engineering Conference (AUPEC), pp.1-7, Perth, Australia, Sept 2014. J Susanto, F Shahnia, A Ghosh and S Rajakaruna, “Interconnected microgrids via back-to-back converters for dynamic frequency support,” 24th Australasian Universities Power Engineering Conference (AUPEC), pp.1-6, Perth, Australia, Sept 2014. RPS Chandrasena, F Shahnia, A Ghosh and S Rajakaruna, “Operation and control of a hybrid AC-DC nanogrid for future community houses,” 24th Australasian Universities Power Engineering Conference (AUPEC), pp.1-6, Perth, Australia, Sept 2014. MA Setiawan, F Shahnia, A Ghosh and S Rajakaruna, “Developing the ZigBee based data payload coding for data communication in microgrids,” 24th Australasian Universities Power Engineering Conference (AUPEC), pp.1-6, Perth, Australia, Sept 2014. N Safitri, F Shahnia and MAS Masoum, “Coordination of single-phase rooftop PVs to regulate voltage profiles of unbalanced residential feeders,” 24th Australasian Universities Power Engineering Conference (AUPEC), pp.1-5, Perth, Australia, Sept 2014. RPS Chandrasena, F Shahnia, A Ghosh and S Rajakaruna, “Secondary control in microgrids for dynamic power sharing and voltage/frequency adjustment,” 24th Australasian Universities Power Engineering Conference (AUPEC), pp.1-6, Perth, Australia, Sept 2014. MA Setiawan, F Shahnia, A Ghosh and S Rajakaruna, “Proposing a new algorithm for defining the shortest distance among ZigBee-based communication devices in microgrids,” 24th Australasian Universities Power Engineering Conference (AUPEC), pp.1-6, Perth, Australia, Sept 2014. HH Yengejeh, F Shahnia and SM Islam, “Contributions of single-phase rooftop PVs on short circuits faults in residential feeders,” 24th Australasian Universities Power Engineering Conference (AUPEC), pp.1-6, Perth, Australia, Sept 2014. 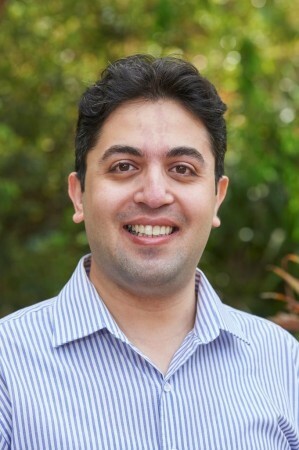 E Pashajavid and F Shahnia, “Sensitivity of electric vehicles demand profile to the batteries departure state-of-charge,” 24th Australasian Universities Power Engineering Conference (AUPEC), pp.1-6, Perth, Australia, Sept 2014. F Barbieri, RPS Chandrasena, F Shahnia, S Rajakaruna and A Ghosh, “Application notes and recommendations on using TMS320F28335 digital signal processor to control voltage source converters,” 24th Australasian Universities Power Engineering Conference (AUPEC), pp.1-7, Perth, Australia, Sept 2014. Y Fan, M Goyal, A Ghosh and F Shahnia, “Integration of wind energy conversion system with microgrid and utility,” 24th Australasian Universities Power Engineering Conference (AUPEC), pp.1-6, Perth, Australia, Sept 2014. RPS Chandrasena, F Barbieri, F Shahnia, A Ghosh and S Rajakaruna, “Developing the guidelines for fabrication of laboratory prototype voltage source converters,” 24th Australasian Universities Power Engineering Conference (AUPEC), pp.1-8, Perth, Australia, Sept 2014. M Goyal, A Ghosh and F Shahnia, “Distributed battery storage units for overload prevention in an islanded microgrid,” 24th Australasian Universities Power Engineering Conference (AUPEC), pp.1-6, Perth, Australia, Sept 2014. F Shahnia, RPS Chandrasena, A Ghosh and S Rajakaruna, “Application of DSTATCOM for surplus power circulation in MV and LV distribution networks with single-phase distributed energy resources,” IEEE Power and Energy Society General Meeting (PES), pp.1-5, Washington DC, USA, July 2014. M Goyal, A Ghosh and F Shahnia, “Overload prevention in an autonomous microgrid using battery storage units,” IEEE Power and Energy Society General Meeting (PES), pp.1-5, Washington DC, USA, July 2014. RPS Chandrasena, F Shahnia, S Rajakaruna and A Ghosh, “Operation and control of three phase microgrids consisting of single-phase DERs,” IEEE 8th International Conference on Industrial and Information Systems, Peradeniya, Sri Lanka, Dec 2013. S Deilami, N Jabalameli, MAS Masoum, F Shahnia, “Rooftop PV with battery storage for constant output power production considering load characteristics,” 8th International Conference on Electrical and Electronics Engineering (ELECO), Bursa, Turkey, Oct 2013. F Shahnia and A Ghosh, “Decentralized voltage support in a low voltage feeder by droop based voltage controlled PVs,” 23rd Australasian Universities Power Engineering Conference (AUPEC), Hobart, Australia, Sept 2013. F Shahnia, MT Wishart and A Ghosh, “Voltage regulation, power balancing and battery storage discharge control by smart demand side management and multi-objective decision making,” 23rd Australasian Universities Power Engineering Conference (AUPEC), Hobart, Australia, Sept 2013. RPS Chandrasena, F Shahnia, S Rajakaruna and A Ghosh, “Control, operation and power sharing among parallel converter-interfaced DERs in a microgrid in the presence of unbalanced and harmonic loads,” 23rd Australasian Universities Power Engineering Conference (AUPEC), Hobart, Australia, Sept 2013. N Jabalameli, MAS Masoum, F Shahnia and TH Mehr, “Impact of battery rating on performance of rooftop PV supporting household loads, regulating PCC voltage and providing constant output power to grid,” 23rd Australasian Universities Power Engineering Conference (AUPEC), Hobart, Australia, Sept 2013. F Shahnia, RPS Chandrasena, S Rajakaruna and A Ghosh, “Autonomous operation of multiple interconnected microgrids with self-healing capability,” IEEE Power and Energy Society General Meeting (PES), pp.1-5, Vancouver, Canada, July 2013. F Shahnia, PJ Wolfs and A Ghosh, “Voltage unbalance reduction in low voltage feeders by dynamic switching of residential customers among three phases,” IEEE Power and Energy Society General Meeting (PES), pp.1-5, Vancouver, Canada. July 2013. M Moghbel, MAS Masoum and F Shahnia, “Coordinated charging of PEVs in unbalanced residential network based on worst node voltage profile,” IEEE Power and Energy Society General Meeting (PES), pp.1-5, Vancouver, Canada, July 2013. M Moghbel, MAS Masoum, F Shahnia and P.S. Moses, “Distribution transformer loading in unbalanced three-phase residential networks with random charging of plug-in electric vehicles,” 22nd Australasian Universities Power Engineering Conference (AUPEC), pp.1-6, Bali, Indonesia, Sept 2012. SM Ami, A Ghosh, F Shahnia, F Zare and GF Ledwich, “Excess power circulation in distribution networks containing distributed energy resources,” IEEE Power and Energy Society General Meeting (PES), pp.1-8, San Diego, USA, July 2012. F Shahnia, A Ghosh, GF Ledwich and F Zare, “An approach for current balancing in distribution networks with rooftop PVs,” IEEE Power and Energy Society General Meeting (PES), pp.1-6, San Diego, USA, July 2012. F Shahnia, A Ghosh, GF Ledwich and F Zare, “Voltage correction in low voltage distribution networks with rooftop PVs using custom power devices,” 37th Annual Conf. of IEEE Industrial Electronics Society (IECON), pp.1-6, Melbourne, Australia, Nov 2011. F Shahnia, A Ghosh, GF Ledwich and F Zare, “Voltage unbalance sensitivity analysis of plug-in electric vehicles in distribution networks,” 21st Australasian Universities Power Engineering Conference (AUPEC), Brisbane, Australia, Sept 2011. MT Wishart, F Shahnia, A Ghosh and GF Ledwich, “Multi objective decision making method for demand side management of LV residential distribution networks with plug-in electric vehicles,” IEEE Power and Energy General Meeting (PES), Detroit, USA, July 2011. F Shahnia, A Ghosh, GF Ledwich and F Zare, “Voltage unbalance reduction in low voltage distribution networks with rooftop PVs,” 20th Australasian Universities Power Engineering Conference (AUPEC), Christchurch, New Zealand, Dec 2010. F Shahnia, R Majumder, A Ghosh, GF Ledwich and F Zare, “Sensitivity analysis of voltage imbalance in distribution networks with rooftop PVs,” IEEE Power and Energy General Meeting (PES), Minneapolis, USA, July 2010. R Majumder, F Shahnia, A Ghosh, GF Ledwich, MT Wishart and F Zare, “Operation and control of a microgrid containing inertial and non-inertial micro sources,” IEEE Region Ten Conf. (TENCON), Singapore, Nov 2009. F Shahnia, H Hatami and NM Tabatabaei, “Application of fuzzy decision making on optimal selection of distribution substation sites and electrification system type,” 4th International Conference on Technical and Physical Problems of Power Engineering (TPE), Pitesti, Romania, Sept 2008. HH Yengejeh, S Galvani, HA Abyane, F Shahnia and H Hatami, “Induction motor behaviour at sudden interruptions and voltage sag,” International Conference on Electrical Engineering (ICEE), Okinawa, Japan, July 2008. HH Yengejeh, HA Abyane, F Shahnia, H hatami and F. Razavi, “Investigation on power quality problems of electrical substations feeding CNG stations in Iran,” International Conference on Electrical Engineering (ICEE), Okinawa, Japan, July 2008. F Shahnia, S Galvani, HH Yengejeh and SH Hosseini, “Analysis of voltage profile and its improvement in harmonic included distribution,” 9th International Conference on Electrical Power Quality and Utilization (EPQU), Barcelona, Spain, Oct 2007. F Shahnia, H Hatami, A Pashaei and SH Hosseini, “Investigation on DSTATCOM and DVR operation for voltage control in distribution networks with a new control strategy,” IEEE International PoweTech Conference (PowerTech), Lausanne, Swiss, July 2007. F Shahnia, S Tizghadam and M Valizadeh, “Energy optimization of street lighting systems and technical-economical studies,” 9th Baku International Congress on Energy, Ecology, Economy, Baku, Azerbaijan, June 2007. F Shahnia, MA Navasi, M Valizadeh, KR Milani and G Ahrabian, “Application of renewable energies as distributed generation in electrical systems,” 9th Baku International Congress on Energy, Ecology, Economy, Baku, Azerbaijan, June 2007. F Shahnia, H Hatami, M Dabaghnia and MRO Tabrizi, “Fuzzy decision making application in optimal selection oftenconf electrification system type for low and medium voltage costumers,” 2nd International Conference on Modelling, Simulation and Applied Optimization (ICMSAO), Abu Dhabi, UAE, March 2007. F Shahnia and AM Kashtiban, “Static security assessment of Iran’s north-west power system tie-lines using multi-rate statistical methods and self-organizing map neural network,” 2nd International Conference on Modelling, Simulation and Applied Optimization (ICMSAO), Abu Dhabi, UAE, March 2007. F Shahnia, A Pashaei, KR Milani and MRO Tabrizi, “Analysis of voltage drop in distribution systems,” 2nd International Conference on Modelling, Simulation and Applied Optimization (ICMSAO), Abu Dhabi, UAE, March 2007. F Shahnia, G Ahrabian and MT Haque, “Hybrid filter applications for power quality improvement of power distribution networks utilizing renewable energies,” IEEE International Symposium on Industrial Electronics (ISIE), Montreal, Canada, July 2006. F Shahnia, M Sarhangzadeh and SH Hosseini, “A novel control scheme of the STATCOM for power quality improvement in electrified railways,” 37th IEEE Power Electronics Specialists Conference (PESC), Jeju, Korea, June 2006. F Shahnia, AM Kashtiban, KR Milani and MT Haque, “Insulation effects and characteristics of XLPE covered conductors for low and medium voltage power distribution network in Iran,” IEEE International Symposium on Electrical Insulation, Toronto, Canada, June 2006. F Shahnia, G Ahrabian and A Lafzi, “Different Characteristics of Semiconducting Glazed Insulators at Artificially Polluted Conditions,” 3rd International Conference on Technical and Physical Problems in Power Engineering (TPE), Ankara, Turkey, May 2006. F Shahnia, MBB Sharifian, A Shasvand and I Hasanzadeh, “A novel method for energizing transformers for reducing inrush currents,” 3rd International Conference on Technical and Physical Problems in Power Engineering (TPE), Ankara, Turkey, May 2006. F Shahnia and GB Gharehpetian, “Lightning and switching transient overvoltages in power distribution systems feeding DC electrified railways,” 3rd International Conference on Technical and Physical Problems in Power Engineering (TPE), Ankara, Turkey, May 2006. F Shahnia and GB Gharehpetian, “Short circuit fault transient studies of power distribution systems including dispersed generation,” 3rd International Conference on Technical and Physical Problems in Power Engineering (TPE), Ankara, Turkey, 2006. F Shahnia, M Sarhangzadeh and SH Hosseini, “An efficient static VAR compensator for simultaneous elimination of voltage flickers and current imbalances of arc furnaces,” 3rd ECTI International Conference (ECTI-CON), Ubon Ratchathani, Thailand, May 2006. F Shahnia and MBB Sharifian, “Power ratings and losses estimation of a switched reluctance motor for electrified railway applications,” 4th International Conference on Electrical and Electronics Engineering (ELECO), Bursa, Turkey, Dec 2005. F Shahnia, M Sarhangzadeh, MBB Sharifian and SH Hosseini, “Induction motor characteristics and applications for DC electrified railway systems,” 4th International Conference on Electrical and Electronics Engineering (ELECO), Bursa, Turkey, Dec 2005. F Shahnia and SH Hosseini, “Power quality improvement of PV power generation systems using hybrid filter,” 4th International Conference on Electrical and Electronics Engineering (ELECO), Bursa, Turkey, Dec 2005. F Shahnia, S Tizghadam and SH Hosseini, “Power distribution system analysis of urban electrified railways,” 4th International Conference on Electrical and Electronics Engineering (ELECO), Bursa, Turkey, Dec 2005. F Shahnia, S Shahmohammadi and SH Hosseini, “A novel hybrid filter structure and control method for power quality improvement in power systems,” 3rd International Conference on Energy Research and Development, Kuwait, Nov 2005. F Shahnia, M Sarhangzadeh and MT Haque, “Power quality concerns of unit commitment of main transformers for DC electrified urban railway systems,” International Conference on Power Electronics and Intelligent Control for Energy Conservation (PELINCEC), Warsaw, Poland, Oct 2005. F Shahnia, M Sarhangzadeh and SH Hosseini, “Power quality improvement of DC traction systems using STATCOM for locomotives with AC motors,” Ship Propulsion and Railway Traction Systems Conference (SPRTS), Bologna, Italy, Oct 2005. F Shahnia, M Sarhangzadeh and SH Hosseini, “Load flow, short circuit fault transients and reliability of Tabriz urban railway,” Ship Propulsion and Railway Traction Systems Conference, SPRTS 2005, Bologna, Italy, Oct 2005. F Shahnia, M Sarhangzadeh and SH Hosseini, “PSACD/EMTDC based simulation of fault transients in AC electrified railways distribution system,” Ship Propulsion and Railway Traction Systems Conference (SPRTS), Bologna, Italy, October 2005. F Shahnia and R Esmaeilzadeh, “Voltage unbalance problems and solutions for electrified railway systems,” 7th International Conference Modern Electric Traction in Integrated XXI Century Europe (MET), Warsaw, Poland, Sept/Oct 2005. F Shahnia, M. Sarhangzadeh, E Babaei and SH Hosseini, “Power quality improvement of DC electrified railway distribution systems using hybrid filters,” 8th International Conference on Electrical Machines and Systems (ICEMS), Nanjing, China, Sept 2005. F Shahnia, MBB Sharifian and SH Hosseini, “Dynamic performance of double fed induction generators for wind turbine applications,” 8th International Conference on Electrical Machines and Systems (ICEMS), Nanjing, China, Sept 2005. F Shahnia and MBB Sharifian, “PSACD/EMTDC based simulation of double fed induction generators for wind turbine applications,” International Conference on Electrical Drives and Power Electronics (EDPE), Dubrovnik, Croatia, Sept 2005. F Shahnia and MBB Sharifian, “Harmonic analysis and modelling of transformerless electric railway traction drives,” International Conference on Electrical Drives and Power Electronics (EDPE), Dubrovnik, Croatia, Sept 2005. F Shahnia and G Ahrabian, “Different characteristics of artificially polluted high voltage composite insulators,” 14th International Symposium on High Voltage Engineering (ISH), Beijing, China, Aug 2005. F Shahnia, G Ahrabian and SH Hosseini, “Analysis of grounding system for the power distribution systems of electrified railways with safety considerations,” 6th International Scientific Conference on Electrical Power Engineering (EPE), Parouba, Czech, May/June 2005. F Shahnia, G Ahrabian and SH Hosseini, “Protection scheme for power distribution systems of electrified railways,” 6th International Scientific Conference on Electrical Power Engineering (EPE), Parouba, Czech, May/June 2005. F Shahnia, G Ahrabian and SH Hosseini, “Parameters for the selection of overhead contact system of electrified railways studying their transients overvoltages characteristics,” 6th International Scientific Conference on Electrical Power Engineering (EPE), Parouba, Czech, May/June 2005. F Shahnia and SH Hosseini, “Load flow calculation and short circuit fault transients in AC electrified railways,” International Conference on Control, Automation and Systems (ICCAS), Busan, Korea, June 2005. F Shahnia, S Tizghadam and SH Hosseini, “Load flow calculation and short circuit faults transients in dispersed generation systems,” International Conference on Control, Automation and Systems (ICCAS), Busan, Korea, June 2005. F Shahnia and SH Hosseini, “Power quality improvement of dispersed generation systems using hybrid filter,” 2nd ECTI International Conference (ECTI-CON), Pataya, Thailand, May 2005.